Don’t dismiss Northwest Indiana as a region of has-beens. The heyday of King Steel may be over (though steel is still a major pillar of the region’s economy), but business is good in Northwest Indiana. Look past the remains of shuttered factories and see what’s here and on the horizon – a beautiful diversity of entrepreneurs, innovators and business leaders with the vision and grit to usher Northwest Indiana forward into prosperity. And, in a proud tradition that spans generations of taking care of their own in the community, the region’s business landscape is made possible and profitable by its community banks. Joe Rurode, Director of Economic Development for the Northwest Indiana Forum. The Northwest Indiana Forum recruits and attracts businesses to the region, advocates for its members and assists with efforts to improve the quality of life in Northwest Indiana. Northwest Indiana is a region defined by diversity, both in its people and its businesses. It has the second largest economy in the state and is tied into the Chicagoland area, which is the third largest economy in the country, according to Joe Rurode, director of economic development for the Northwest Indiana Forum. The Northwest Indiana Forum recruits and attracts businesses to the region, advocates for its members and assists with efforts to improve the quality of life in Northwest Indiana. Yet, Rurode adds, the region has lost a lot of young talent over the last 20 years to Chicago and other parts of the country due to quality of life issues. Infrastructure projects such as the West Lake Corridor Project are combating this brain and talent drain by making the communities of Northwest Indiana more attractive places to live and do business. “Just as strong businesses are vital to the health of local communities, strong community banks are the lifeline of local small businesses”. says Tom Edwards, President and Chief Credit Officer of Horizon Bank. As in generations past, the people who live in Northwest Indiana dream in Northwest Indiana. 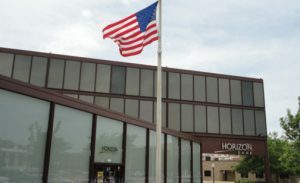 “When you think about small businesses, they were started by people who likely didn’t have a lot of money but they sure had big dreams,” says Tom Edwards, president and chief credit officer of Horizon Bank, a community bank whose experienced, well-trained commercial lenders know the local markets. Because the bank’s leaders and executives all live and play where they work, they’re deeply involved in the communities they serve, which includes making charitable donations and providing a tremendous level of community leadership and volunteering, Vessely says. He explains that this involvement means that 1st Source understands its communities’ unique financial needs, enabling them to offer effective solutions. Many of 1st Source Bank’s clients have been with the bank for generations, which provides a long-term perspective in how to best support client needs – as with the bank’s highly-rated mobile banking apps – and a platform to manage risk. Roger Freeman, 1st Source Bank retail products manager, says community banks are themselves small businesses, which gives them unique insight into helping their small business clients thrive in the local economy. “Community banks are essential in supporting local community businesses,” says Ben Bochnowski, CEO of Peoples Bank. 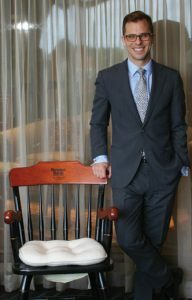 “Community banks are essential in supporting local community businesses,” says Ben Bochnowski, CEO of Peoples Bank, named one of the top 200 community banks. Community banks, such as Peoples Bank, put credit in the local economy, provide economic stability and drive independence in the business community. “We provide value for everybody–our investors, the customers we have, the community we serve, and our employees who work here,” Bochnowski says. But that support system of community banks has grown smaller over the past decade. Community banks are essential to a healthy economy because they get credit to locally managed, locally funded businesses. Bochnowski recalls his father’s wise assessment of the value of small businesses in that they’re the employer of choice in America. Helping small businesses succeed means helping the community succeed. 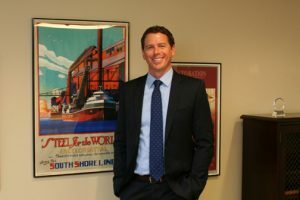 Even with the constantly evolving business landscape of Northwest Indiana—once led by steel but now with healthcare organizations and a multitude of small businesses dominating much of the job market—the economy finds a way forward and community banks will continue to guide small businesses and the region into a prosperous future. Amanda Wilson believes that everyone’s story has worth, and enjoys the privilege of highlighting a variety of Region residents and happenings for publications including Northwest Indiana Business Quarterly Magazine, The Times, and Valparaiso Magazine. A married, minivan-driving, introverted mom of three, she does her best to covertly defy the boring mom stereotype by blogging at Musings and Meanderings of an Undercover Misfit, letting her kids eat pizza in front of the TV on Friday nights, and riding first car on roller coasters.